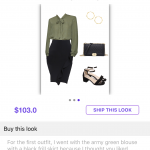 Fashom is a budget-friendly personal stying app that delivers outfits to you at no cost. 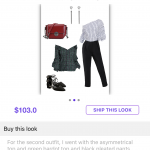 Download the FASHOM app in the Appstore or Google Play. It’s free! Fill in your personal details: such as height, sizes, your preferences/style. Request for styling at no cost to you! You will get asked to provide your credit card information and shipping address. You won’t be charged for the items until you decide what you want to keep. Describe your style or what you are looking for, then within 48 hours, there were 3 different outfits styled for me. You can pick and choose 5 or more items from any looks. You have 5 days to select your items. Wait, for the box to get to you. Keep what you want and return what you don’t. You only get charged for the items you want to keep. You have 3 days to decide what you want to keep and what you want to send back and then your card will be charged for the items you keep. You get 25% off for keeping 3 items or more. When I decided to be styled, I asked for outfits for work. I wanted to incorporate more skirts and dresses for work but also, outfits to keep me warm. Here are the outfits I got styled for and picked the items from. 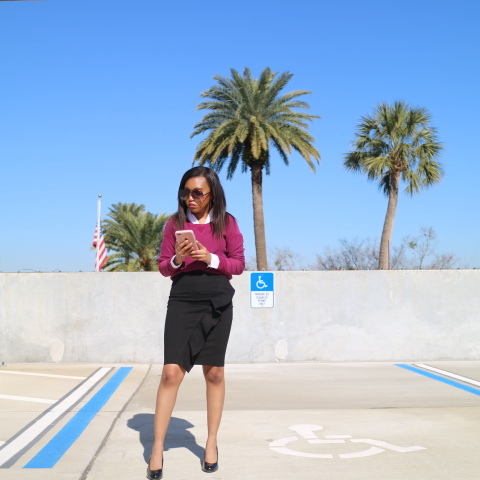 Here are the items I choose and how I styled it! 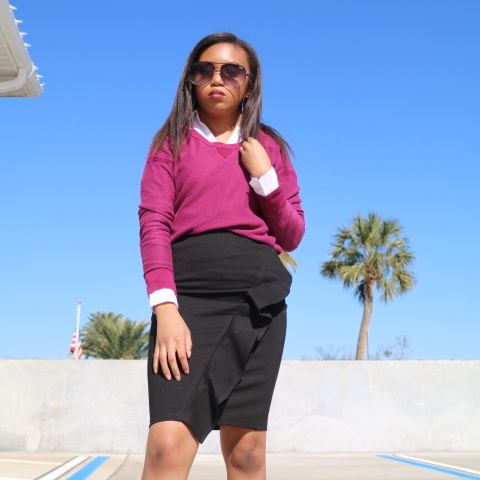 I loved how this was a classic black pencil skirt with a twist. The ruffle details are so beautiful and fun. As much as I loved this skirt, it was a bit tight ( from all the pizza and Zaxbys I’ve been eating lol) so sadly I returned it. 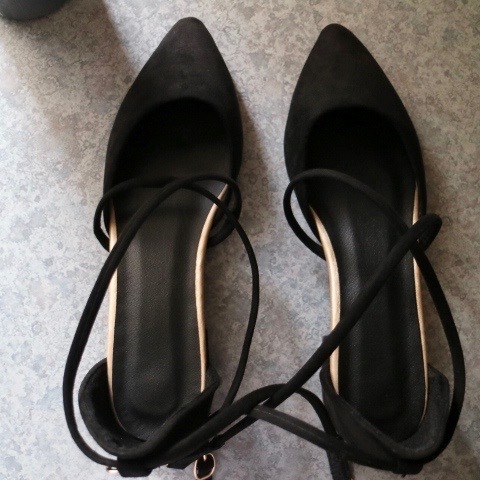 These shoes are super cute but I have some similar so I decided to return them as well. I think this dress the stylist choose is great for when I have events at work. It’s professional, easy to run around in, and it’s very chic. The layering necklace is also from Fashom, which I have been wanting a layering necklace. The dress is a straight fit on me so I decided to show my shape more with the belt. I am obsessed with this outfit! 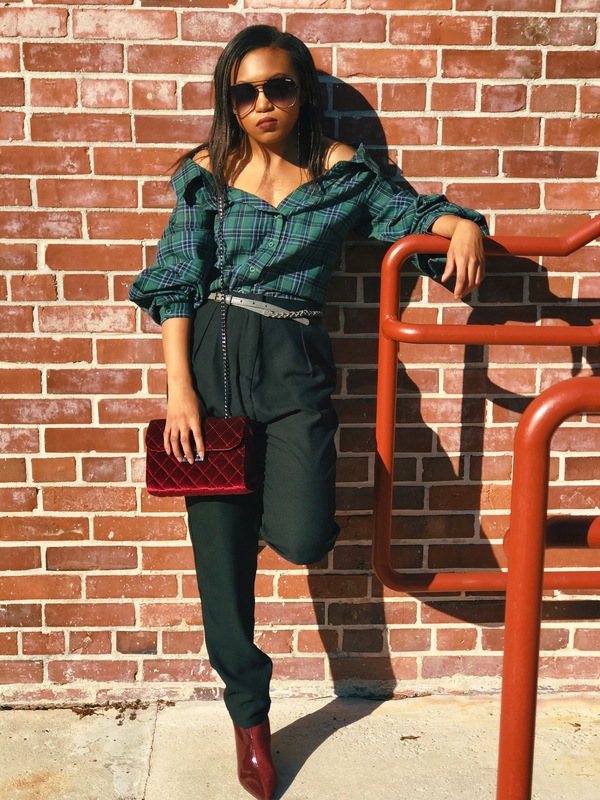 The pants, top, and purse are all picks from my stylist. I can see myself wearing this all the time, you can wear this with heels or flats instead of boots. My thoughts on the styling: I thought the stylist did a great job in putting together the outfits. I selected items from all 3 looks. The quality and the price of the clothing is great and affordable. The process was easy and the Fashom team are very sweet and helpful! I will definitely get styled again! I really like the items the stylist picked out for you! I love the dress. Going to check this app out now. Let me know how you like it! Thanks for stopping by! It’s my favorite item from the stylist! Hello Tahnee 🙂 you can by styled in a similar shirt as well. Just download Fashom app and request for it in your next styling. No styling fees or subscription. I’m not usually a fan of someone else styling my looks but they have given you some really cute pieces. This was my first time having someone style me but it was fun and worth a try. I like how they let you pick and choose the items you like and that they charge you only for the items you keep. Hi Juhita, we are glad you like our styling. If you are living in US, we would love to style you as well 🙂 Let us know! I’ll try to remember that the next time I take photos. What a fun group of outfits. 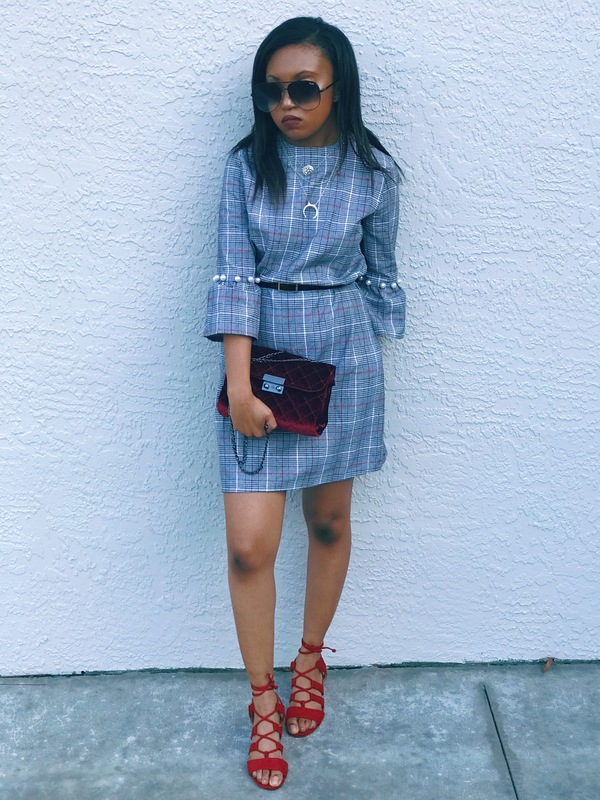 She did a great job styling you! This would be such cute outfits for travel. She did a great job! And yes, I had thought about that but they would be great travel outfits. Hi, we are so glad you like the styling of Fashom. We would love to style you as well and you could get even more outfits for travel 🙂 Pls let me know if you are interested to try it out! This sounds like a fun and really easy way to try out new clothes that I may not otherwise grab for myself! And I am in love with that last outfit! Do they do international orders? Thank you! I sent them a message and from your twitter page, it looks like you live in NZ and unfortunately, they do not ship there. It is! You should give it a try, you only pay for the items you keep plus you get a discount when you use my code! Let me know if you try it! I’m obsessed with your green outfit! I think I should give this app a try, there’s nothing to lose! I will let you know how I fancy it in a couple of days! I love the green outfit too! Yes, go ahead and give it a try and let me know how your experience is! And at checkout, you can use my discount code for an extra 15% off! Hi Niki, I am Nadine from Fashom app. We would love for you to try it out as well and you can use Jonia’s promocode 🙂 Please let me know if you need any help! Lovely outfits Jonia. I love the pink sweater and black shirt one. This app sounds interesting. Awe, thank you so much Lisa! I enjoyed the experience of being styled! Ooo… nice outfits! I really like the grey dress… it’s so clean and classy. I’ll check out the site soon. Thank you! Thank you doll! The app is great and you can post your photos to it as well! I’m not really good at styling myself. I don’t know which pieces to choose. This is a great app to help someone like me with no fashion sense. 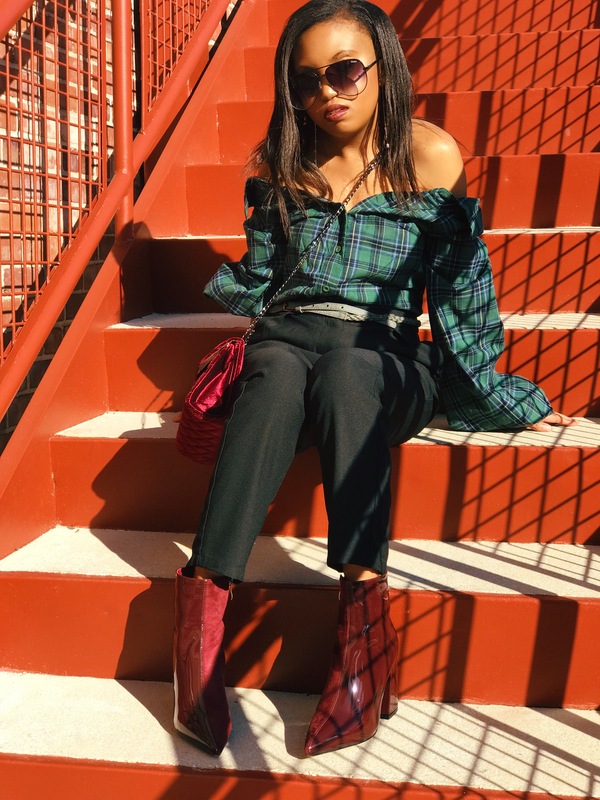 I really super loved how you wore the top! Thank you! 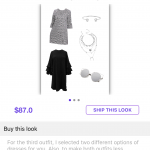 The Fashom app is great and so was the stylist! Hi Roselle, glad you like our styling. 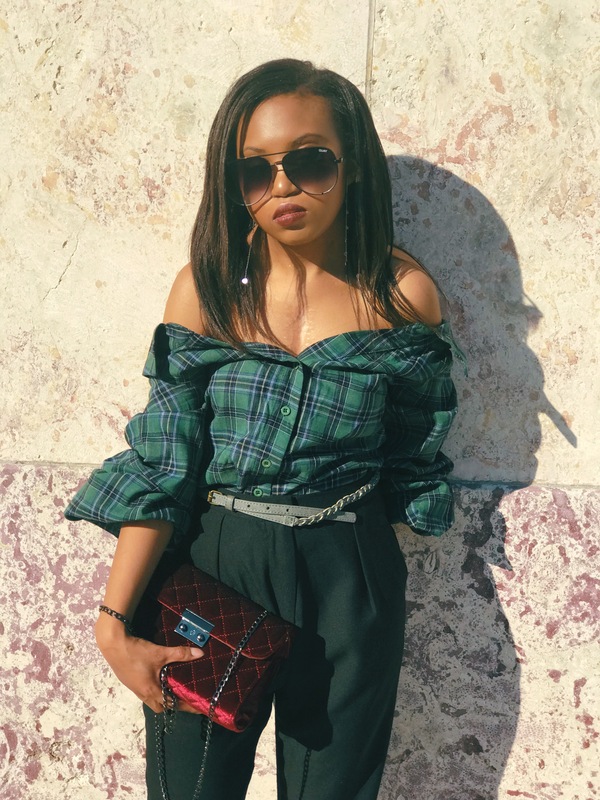 Please give it a shot, we would love to style you. Do you live in US? Love the look! You are rocking it! What a great app. All of those looks are stunning, I really like the blue dress with the red strap shoes, really suits you. 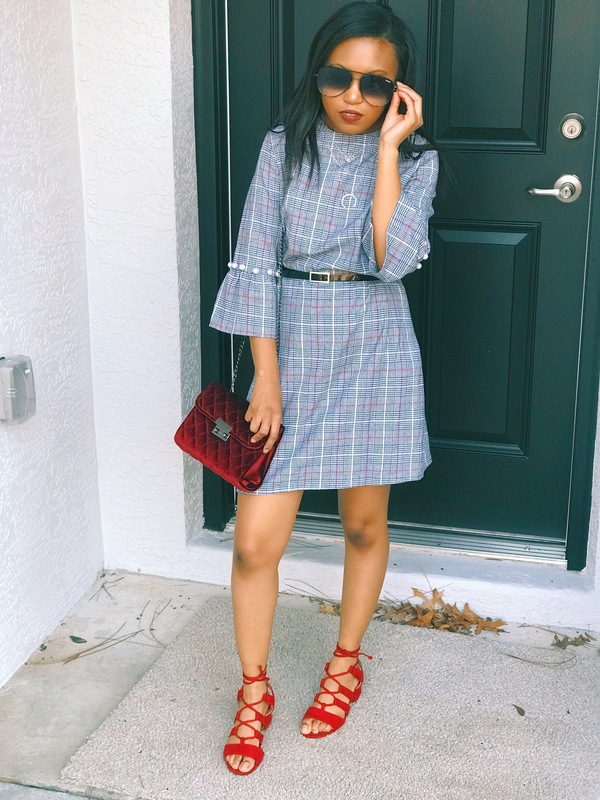 Hi Matt 🙂 I am Nadine from Fashom, we would love to style you as well. Please let me know if you are interested. Awesome! I’m sure you will like it! Jen, you are the sweetest! Thank you so much! I’m a bit leery on clothing sub boxes too. This one because it’s not a subscription, so you can get styled whenever you want to. Also, you get to choose the items you like so it’s not random items you wouldn’t wear.